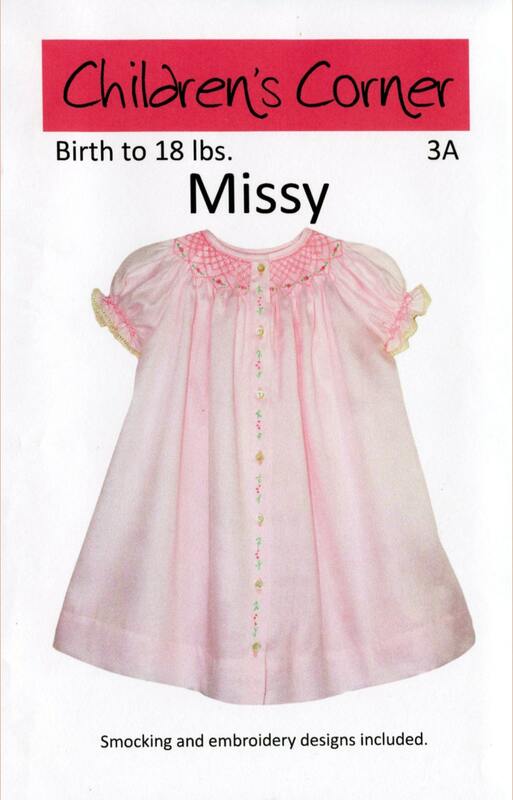 Missy is a baby dress that can be made as a daygown with long or short sleeves, a short dress with long or short sleeves or a diaper shirt with ruffle sleeves. All sleeves may be used with any style dress. The yoke is smocked and the gown buttons down the front. 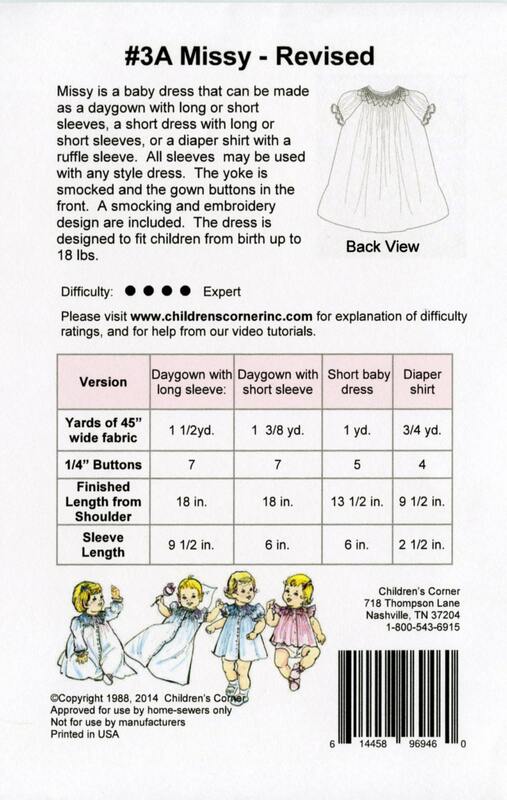 A smocking and embroidery design are included. Size birth to 18 pounds. Beautiful pattern, can't wait to start sewing. Highly recommend this seller.